Beneath the peaks of Montana’s Rocky Mountain Front Range, cottonwoods line Spring Creek as it flows through Glen Willow, a 640-acre ranch three miles north of Choteau, MT. 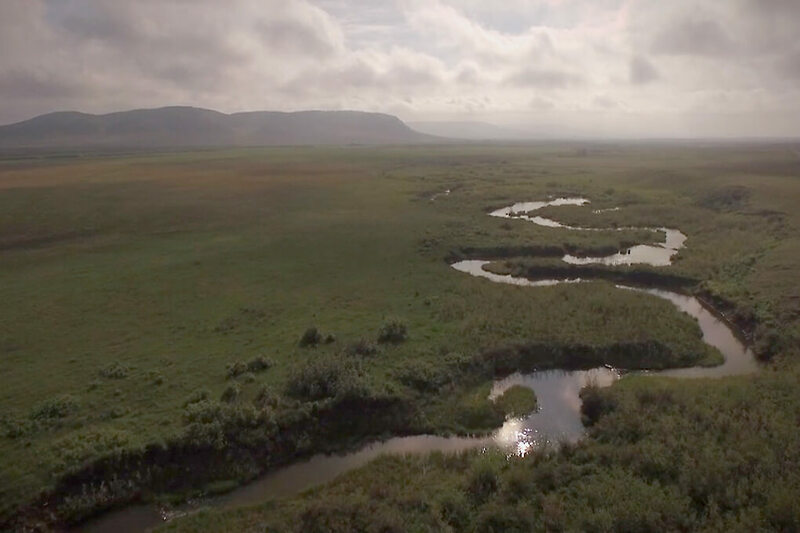 The Teton River tributary flushes 100 acres of wetland habitat onto the family ranch, with another 300 acres of forestland accompanying the property’s irrigated agricultural land. This habitat combination creates an obvious draw for bears that descend from the Glacier-Bob Marshall high country to avoid snows and food scarcity in spring and fall. And it’s big enough to strike a balance between wild and working land—a balance that’s more important to protect than ever. Vital Ground’s ties to the Rocky Mountain Front are strong. We purchased our first fee-title property along the Teton River back in 1991, and we’ve known the landowner at Glen Willow for nearly as long. But grizzlies in this area have never needed Vital Ground more. As the bear population continues to recover within the Glacier-Bob Marshall area, more grizzlies are following waterways east onto the plains and the ranchlands that dot them. Montana Fish, Wildlife & Parks set a new record for reported grizzly conflicts in this region in 2017. In other words, the timing is right to protect riparian havens like Glen Willow. Our easement will protect the ranch’s habitat value in perpetuity, ensuring that no additional development occurs. And by preserving Glen Willow as a seasonal sanctuary for bears and other wildlife, we will reduce the likelihood of bears venturing into more highly developed areas where the chances of conflict rise. As bears range east onto the private lands of central Montana, conservation and coexistence efforts must follow. It’s the only path to preserving two of our state’s great legacies—grizzlies and ranching. Help keep bears in the woods and out of the feedbags by supporting our Glen Willow project today!